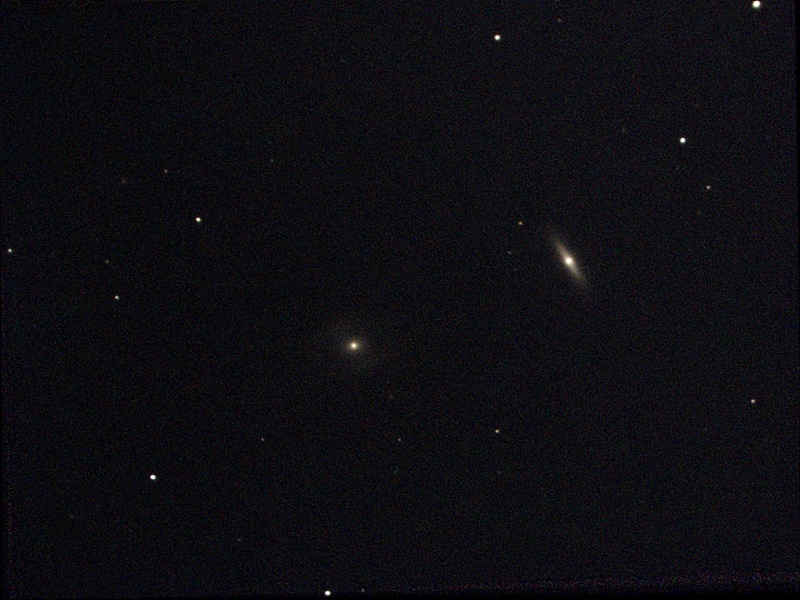 30x5s Observed in Sharpcap 3.2. Saved as viewed. NGC 2367 is a 7th magnitude Open Cluster appearing in the constellation Canis Major. It is 4566 light years from our solar system. NGC 2367's apparent size is approximately 5.0 arcminutes, corresponding to a physical diameter of 7 light years. 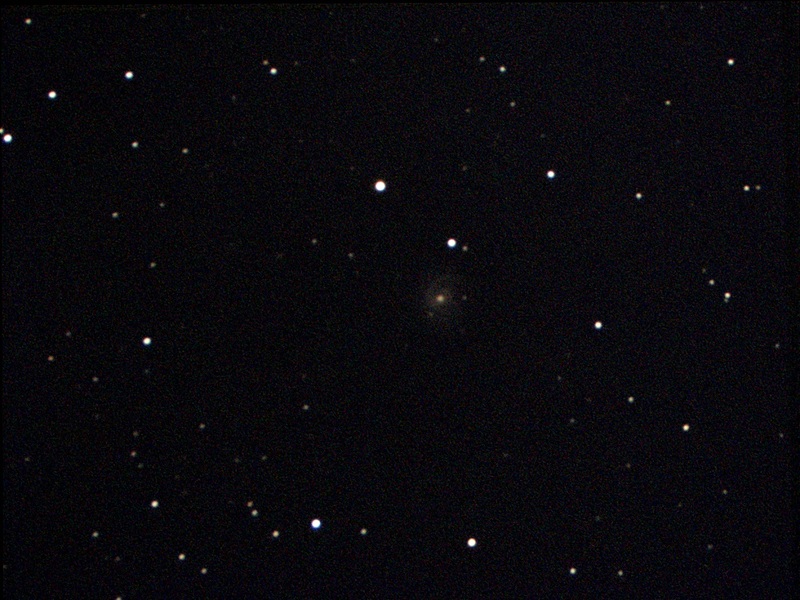 NGC 2432 is a moderately faint, elongated group of 50 stars of 12th to 13th magnitude. The brighter stars lie along a chain which splits at the northern edge of the cluster. 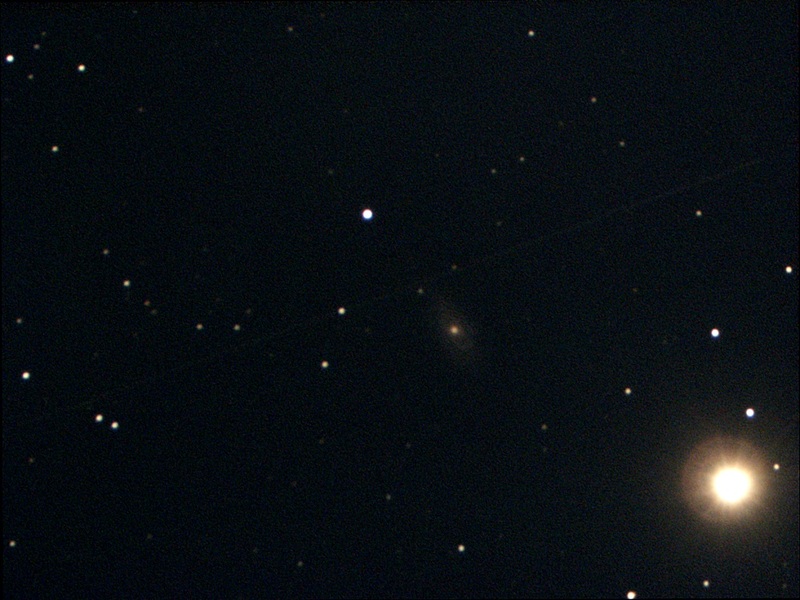 25x5s Observed in Sharpcap 3.2. Saved as viewed. 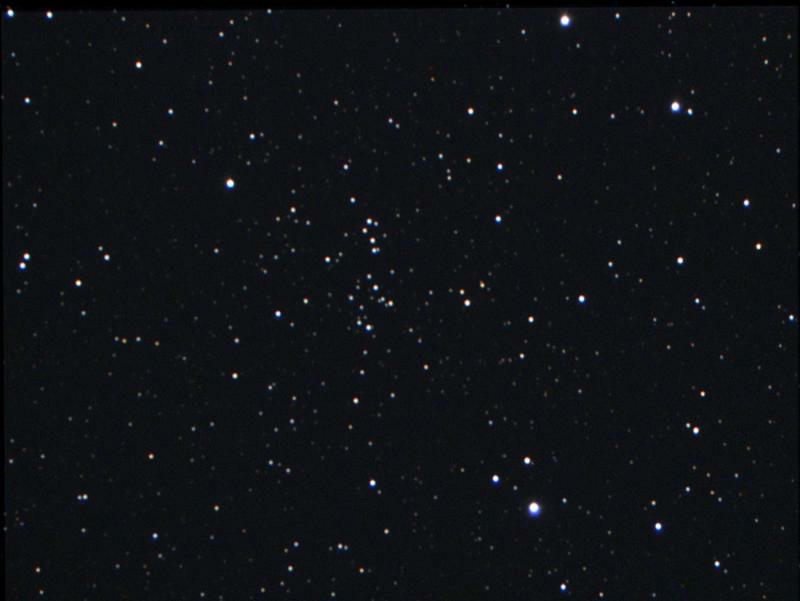 NGC 2414 is a faint cluster of 30 stars of 11th magnitude and fainter. 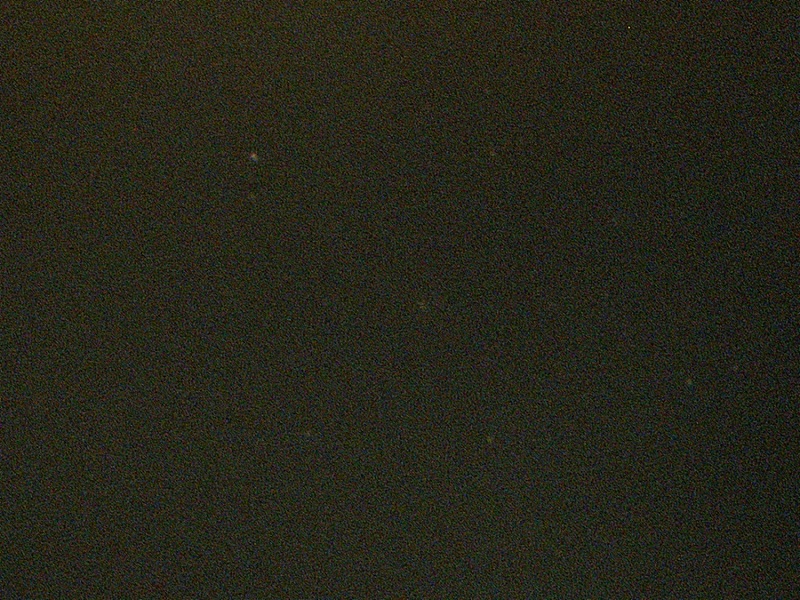 Three short star chains stand out against the background field. 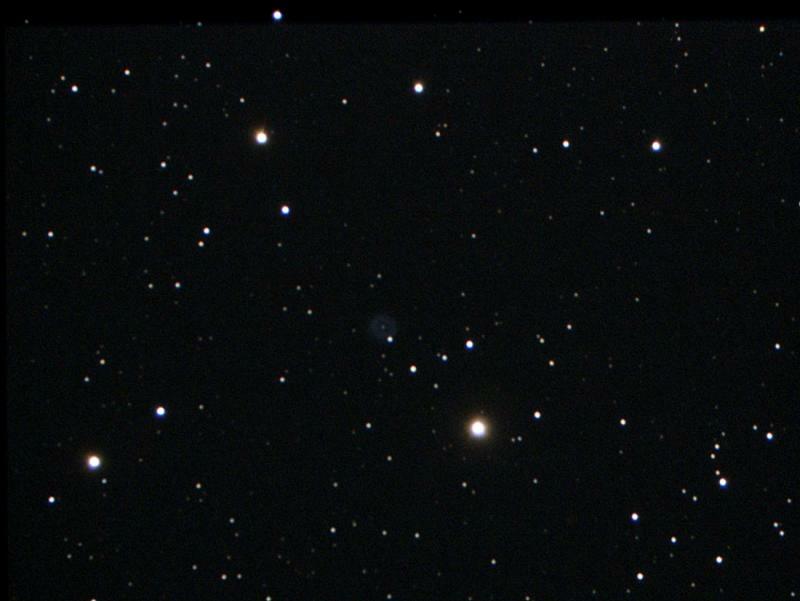 NGC 2610 is a 13th magnitude Planetary Nebula appearing in the constellation Hydra. 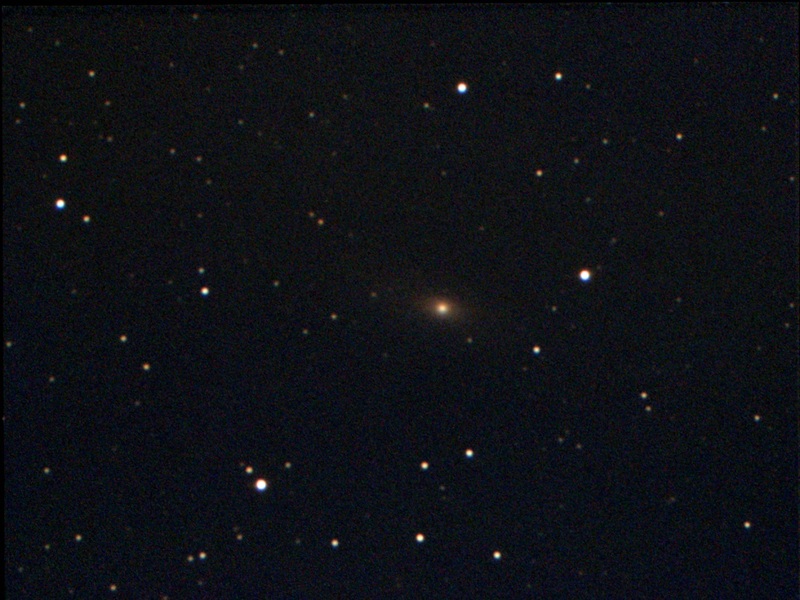 NGC 2610 appears roughly 0.8 x 0.8 arcminutes in size. 10x30s Observed in Sharpcap 3.2. Saved as viewed. NGC 2525 is a Scd spiral galaxy in Puppis. It has a bright but diffuse halo containing a broad concentrated core. A 13th magnitude star lies on the southeast edge of the galaxy. 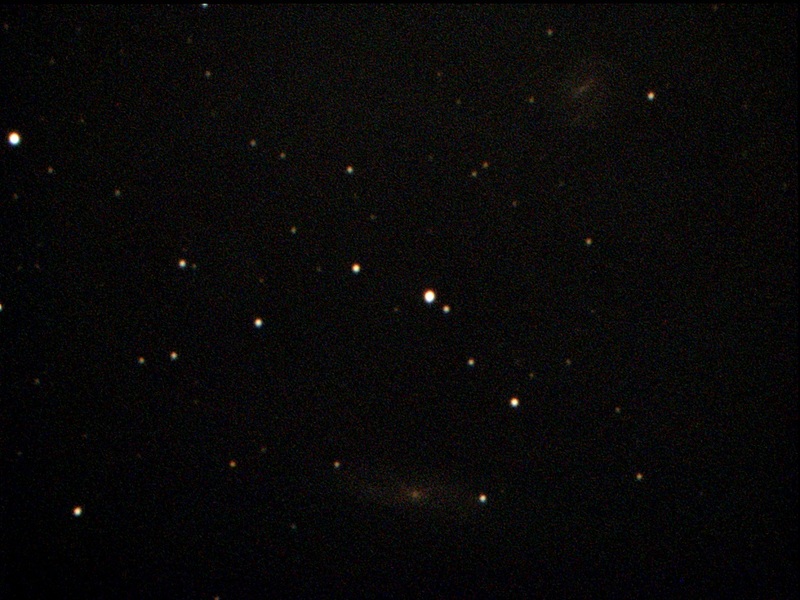 25x30s Observed in Sharpcap 3.2. Saved as viewed. NGC 3156 is a 12th magnitude Spiral Galaxy appearing in the constellation Sextans. It is 72 million light years from our solar system. NGC 3156 appears roughly 1.9 x 1.0 arcminutes in size, corresponding to a physical diameter of 40281 light years. It is a spiral galaxy of morphological type S0, and is receding at 1346 kilometers per second - about 0.4% of light speed. 16x30s Observed in Sharpcap 3.2. Saved as viewed. extremely low at 10 deg. 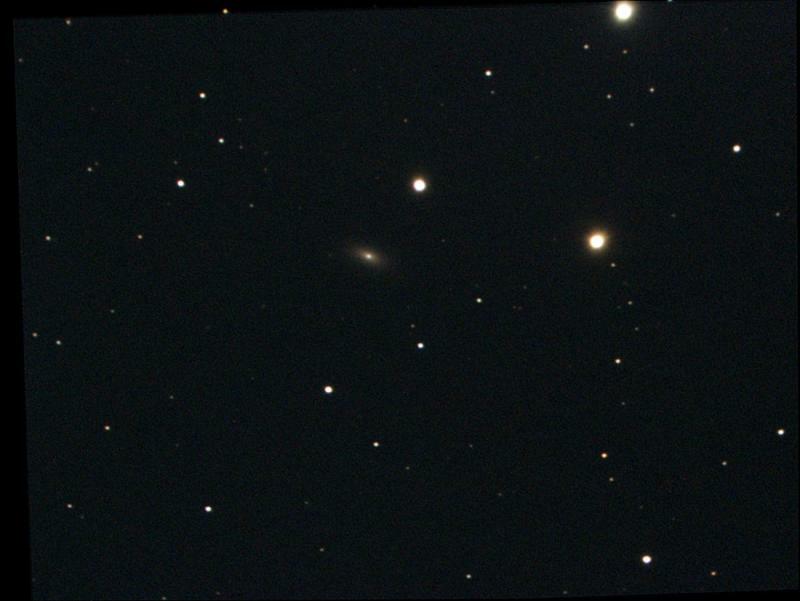 NGC 2784 is a 10th magnitude Spiral Galaxy appearing in the constellation Hydra. It is 28 million light years from our solar system. 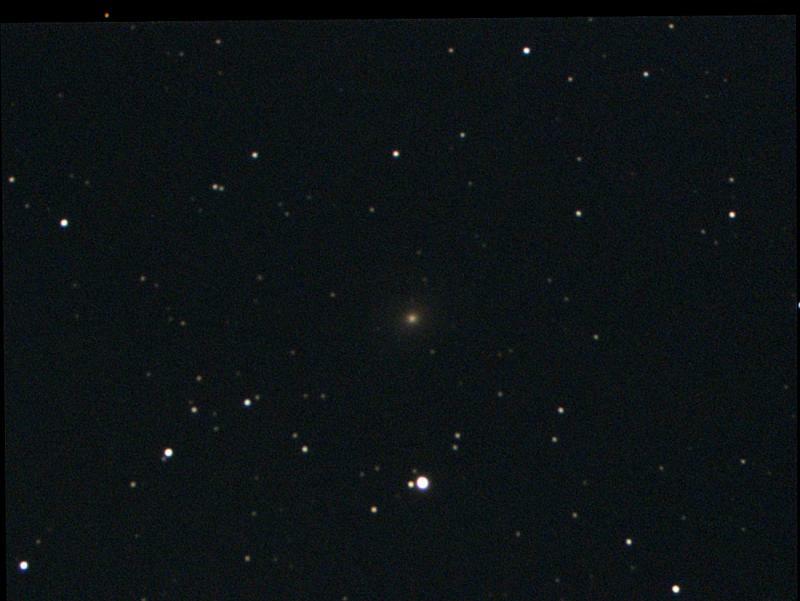 NGC 2784 appears roughly 5.5 x 2.2 arcminutes in size, corresponding to a physical diameter of 44093 light years. It is a spiral galaxy of morphological type S0, and is receding at 690 kilometers per second - about 0.2% of light speed. 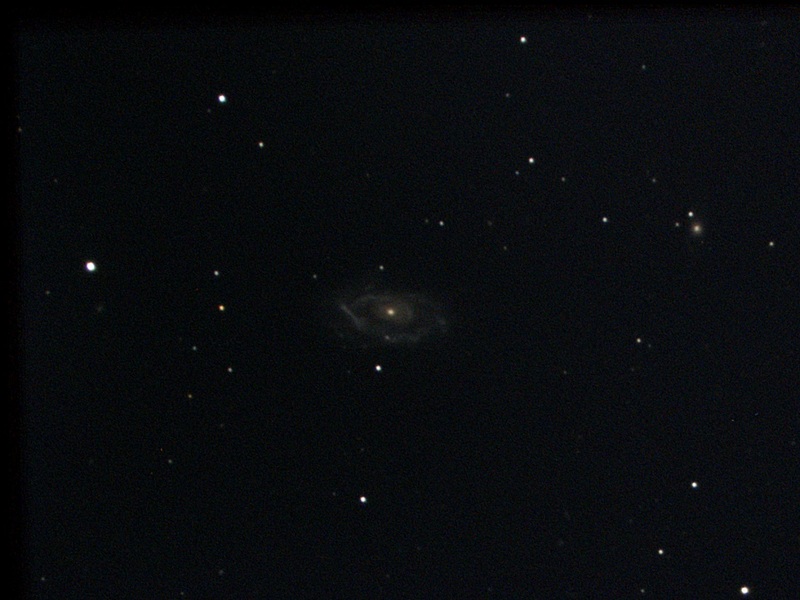 12x30s Observed in Sharpcap 3.2. Saved as viewed. 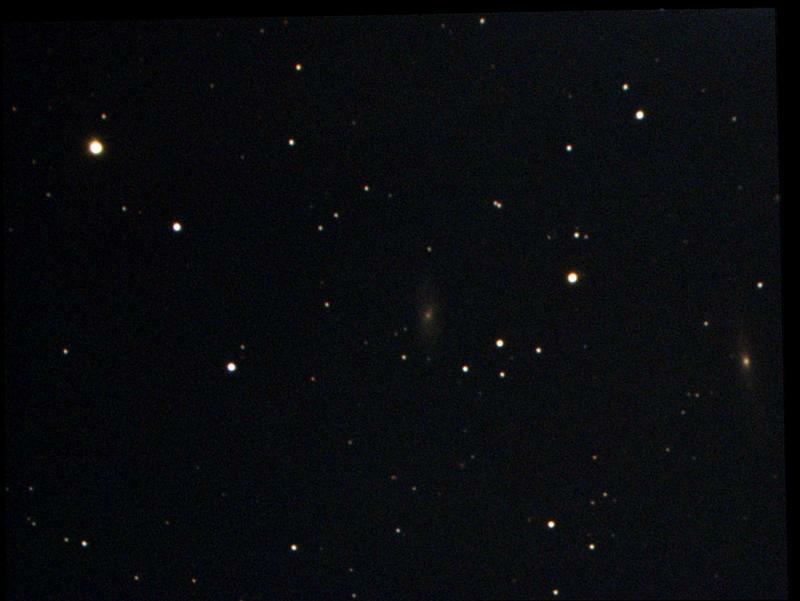 NGC 2781 is a 11th magnitude Spiral Galaxy appearing in the constellation Hydra. It is 90 million light years from our solar system. NGC 2781 appears roughly 2.5 x 1.3 arcminutes in size, corresponding to a physical diameter of 66005 light years. It is a spiral galaxy of morphological type S0-a, and is receding at 2030 kilometers per second - about 0.7% of light speed. 14x30s Observed in Sharpcap 3.2. Saved as viewed. 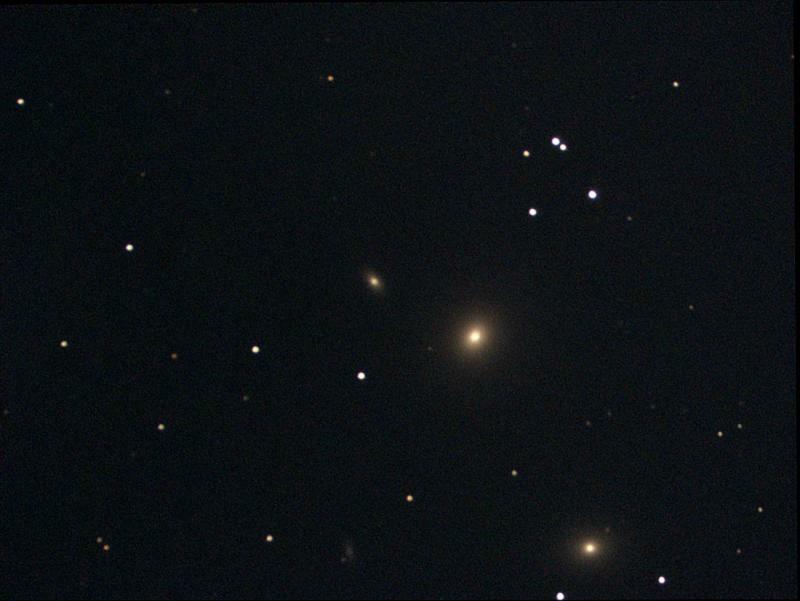 NGC 2986 is a 10th magnitude Elliptical Galaxy appearing in the constellation Hydra. It is 111 million light years from our solar system. NGC 2986 appears roughly 4.8 x 3.9 arcminutes in size, corresponding to a physical diameter of 155417 light years. It is an elliptical galaxy of morphological type E, and is receding at 2326 kilometers per second - about 0.8% of light speed. 1x30s Observed in Sharpcap 3.2. Saved as viewed. NGC 3078 is a 11th magnitude Elliptical Galaxy appearing in the constellation Hydra. It is 113 million light years from our solar system. NGC 3078 appears roughly 3.0 x 2.5 arcminutes in size, corresponding to a physical diameter of 100109 light years. It is an elliptical galaxy of morphological type E, and is receding at 2564 kilometers per second - about 0.9% of light speed. 9x30s Observed in Sharpcap 3.2. Saved as viewed. NGC 2855 is a 11th magnitude Spiral Galaxy appearing in the constellation Hydra. It is 84 million light years from our solar system. NGC 2855 appears roughly 3.5 x 1.9 arcminutes in size, corresponding to a physical diameter of 84795 light years. It is a spiral galaxy of morphological type S0-a, and is receding at 1894 kilometers per second - about 0.6% of light speed. 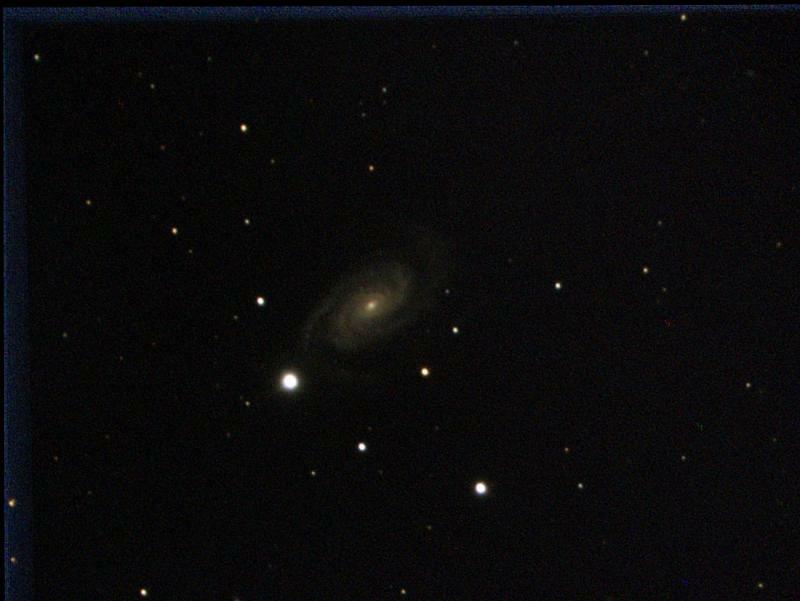 NGC 3338 is a 10th magnitude Spiral Galaxy appearing in the constellation Leo. It is 76 million light years from our solar system. NGC 3338 appears roughly 1.2 x 0.7 arcminutes in size, corresponding to a physical diameter of 27254 light years. It is a spiral galaxy of morphological type Sc, and is receding at 1297 kilometers per second - about 0.4% of light speed. NGC 3646 is a 11th magnitude Spiral Galaxy appearing in the constellation Leo. It is 186 million light years from our solar system. NGC 3646 appears roughly 3.1 x 1.5 arcminutes in size, corresponding to a physical diameter of 166637 light years. It is a spiral galaxy of morphological type Sc, and is receding at 4250 kilometers per second - about 1.4% of light speed. 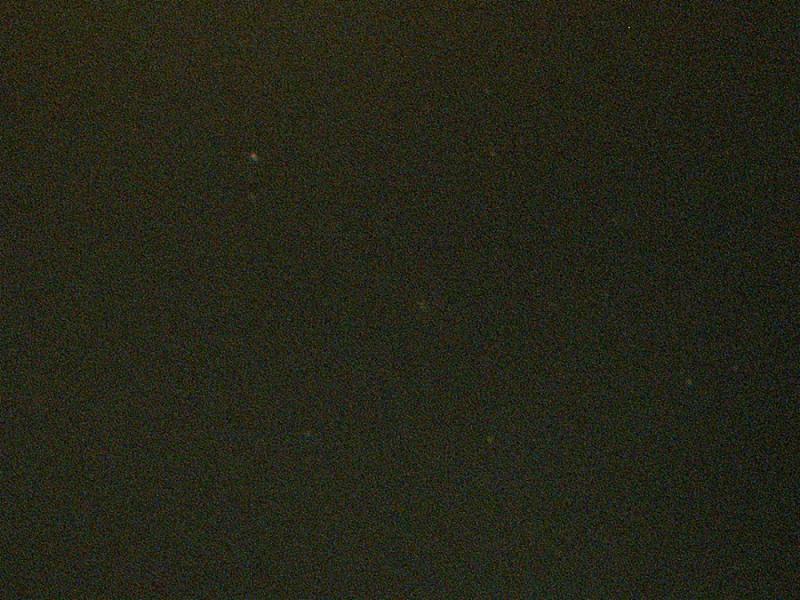 17x30s Observed in Sharpcap 3.2. Saved as viewed. NGC 2889 is a 11th magnitude Spiral Galaxy appearing in the constellation Hydra. It is 151 million light years from our solar system. 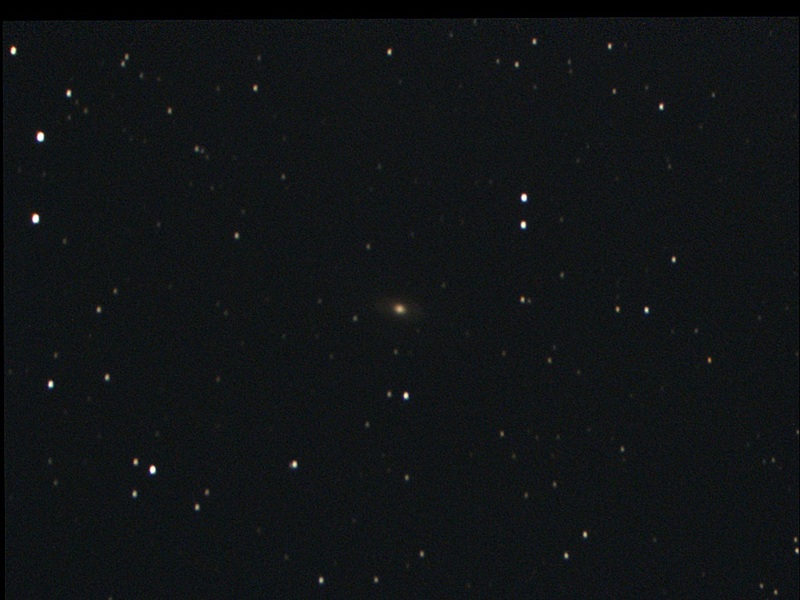 NGC 2889 appears roughly 1.9 x 1.8 arcminutes in size, corresponding to a physical diameter of 85741 light years. It is a spiral galaxy of morphological type SABc, and is receding at 3309 kilometers per second - about 1.1% of light speed. Edited by S1mas, 22 March 2019 - 02:36 PM. NGC 3145 is a 11th magnitude Spiral Galaxy appearing in the constellation Hydra. It is 161 million light years from our solar system. NGC 3145 appears roughly 2.9 x 1.4 arcminutes in size, corresponding to a physical diameter of 134440 light years. It is a barred spiral galaxy of morphological type SBbc, and is receding at 3653 kilometers per second - about 1.2% of light speed. NGC 3599 is a 12th magnitude Spiral Galaxy appearing in the constellation Leo. It is 66 million light years from our solar system. NGC 3599 appears roughly 2.4 x 2.2 arcminutes in size, corresponding to a physical diameter of 45789 light years. It is a spiral galaxy of morphological type S0, and is receding at 837 kilometers per second - about 0.3% of light speed. Edited by S1mas, 22 March 2019 - 03:10 PM. NGC 3605 is a 12th magnitude Elliptical Galaxy appearing in the constellation Leo. It is 67 million light years from our solar system. 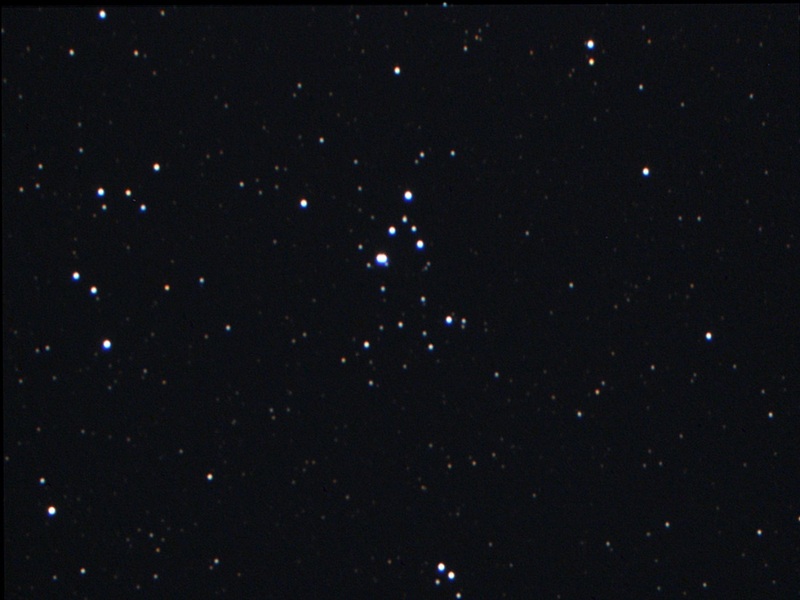 NGC 3605 appears roughly 1.2 x 0.7 arcminutes in size, corresponding to a physical diameter of 24292 light years. It is an elliptical galaxy of morphological type E, and is receding at 675 kilometers per second - about 0.2% of light speed. 25x15s Observed in Sharpcap 3.2. Saved as viewed. Targets very low, at 11 deg. NGC 3511 is a 10th magnitude Spiral Galaxy appearing in the constellation Crater. It is 40 million light years from our solar system. NGC 3511 appears roughly 6.0 x 2.0 arcminutes in size, corresponding to a physical diameter of 70002 light years. It is a spiral galaxy of morphological type SABc, and is receding at 1105 kilometers per second - about 0.4% of light speed. NGC 3513 is a 11th magnitude Spiral Galaxy appearing in the constellation Crater. It is 25 million light years from our solar system. 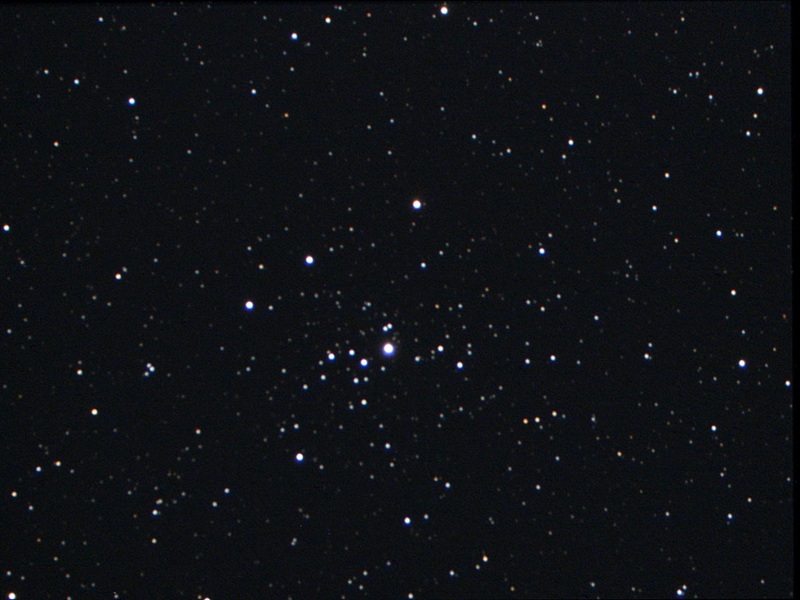 NGC 3513 appears roughly 2.8 x 1.3 arcminutes in size, corresponding to a physical diameter of 20744 light years. 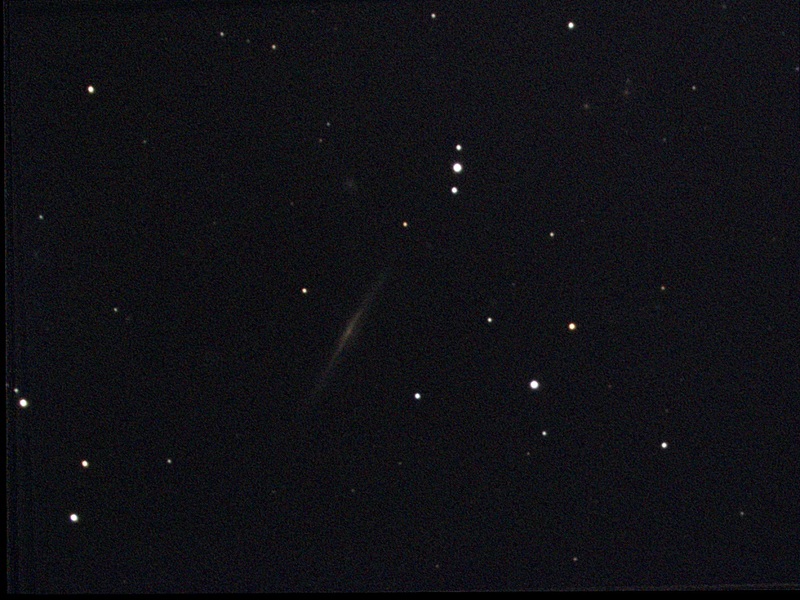 It is a barred spiral galaxy of morphological type SBc, and is receding at 1197 kilometers per second - about 0.4% of light speed. 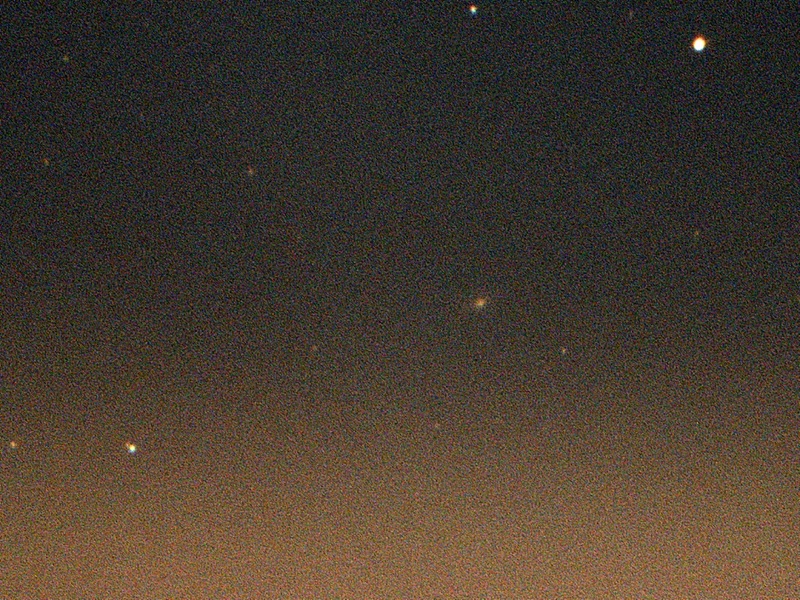 1x15s Observed in Sharpcap 3.2. Saved as viewed. Target very low, at 7 deg. Couldn't stack no matter what. 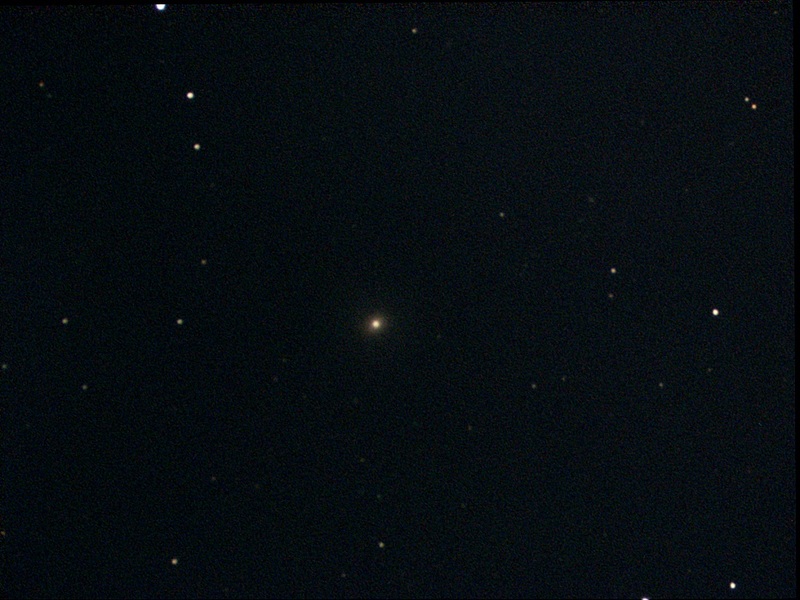 NGC 3585 is a 9th magnitude Elliptical Galaxy appearing in the constellation Hydra. It is 65 million light years from our solar system. NGC 3585 appears roughly 6.6 x 3.3 arcminutes in size, corresponding to a physical diameter of 124506 light years. It is an elliptical galaxy of morphological type E, and is receding at 1370 kilometers per second - about 0.5% of light speed. NGC 4340 is a 11th magnitude Spiral Galaxy appearing in the constellation Coma Berenices. It is 48 million light years from our solar system. 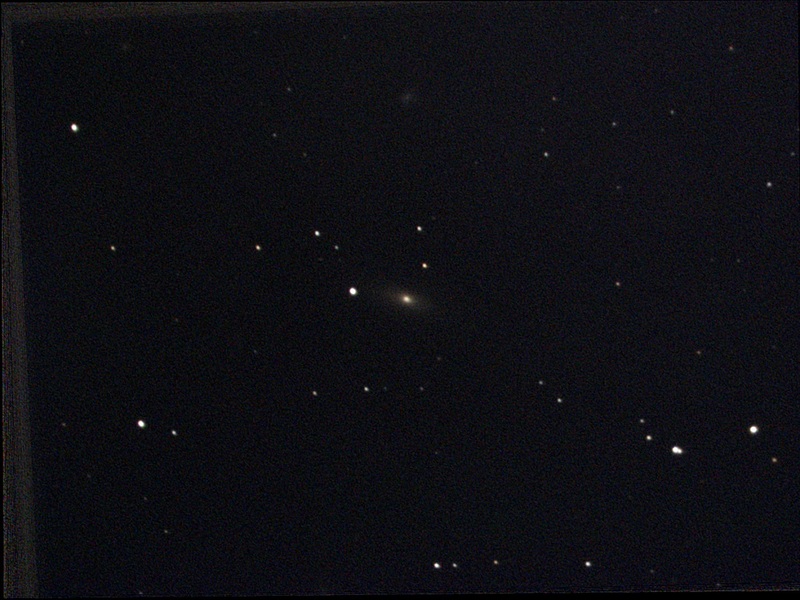 NGC 4340 appears roughly 2.8 x 1.8 arcminutes in size, corresponding to a physical diameter of 39164 light years. It is a spiral galaxy of morphological type S0-a, and is receding at 949 kilometers per second - about 0.3% of light speed. 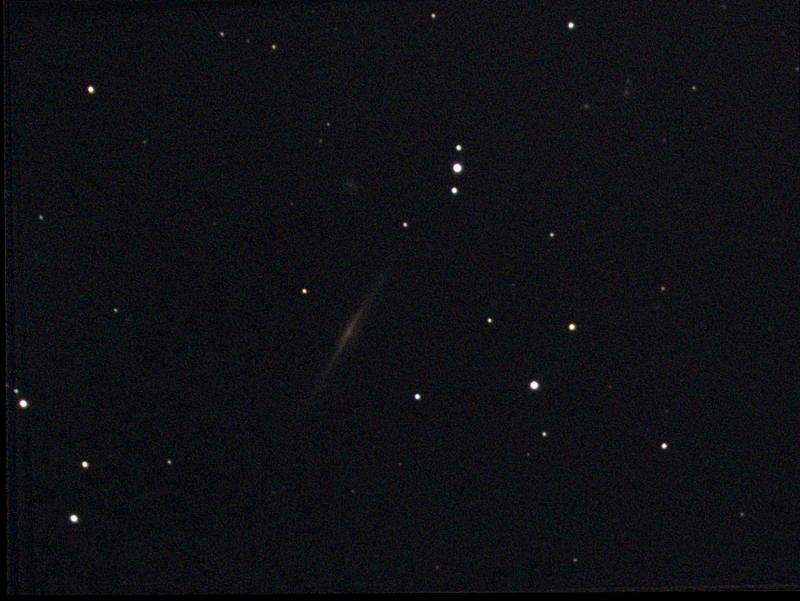 NGC 5529 is a 11th magnitude Spiral Galaxy appearing in the constellation Bootes. It is 145 million light years from our solar system. 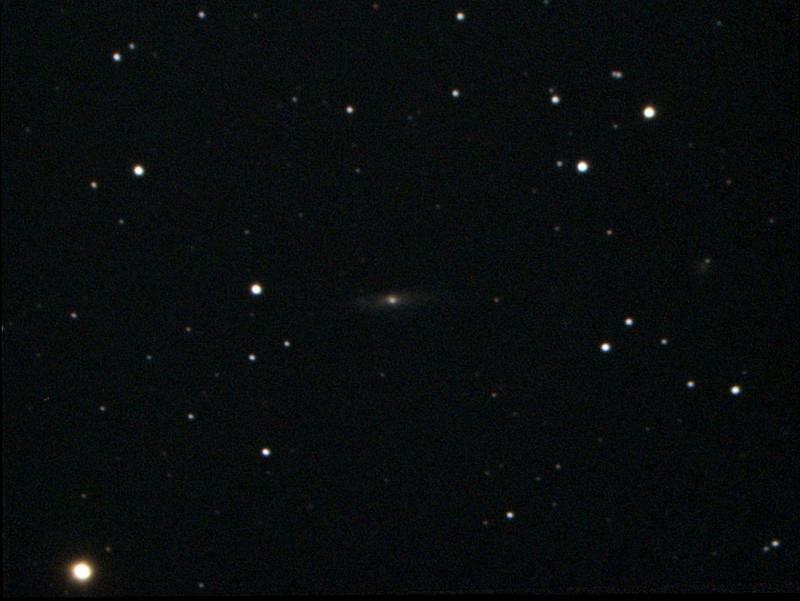 NGC 5529 appears roughly 5.8 x 0.7 arcminutes in size, corresponding to a physical diameter of 243966 light years. It is a spiral galaxy of morphological type SABc, and is receding at 2876 kilometers per second - about 1.0% of light speed. 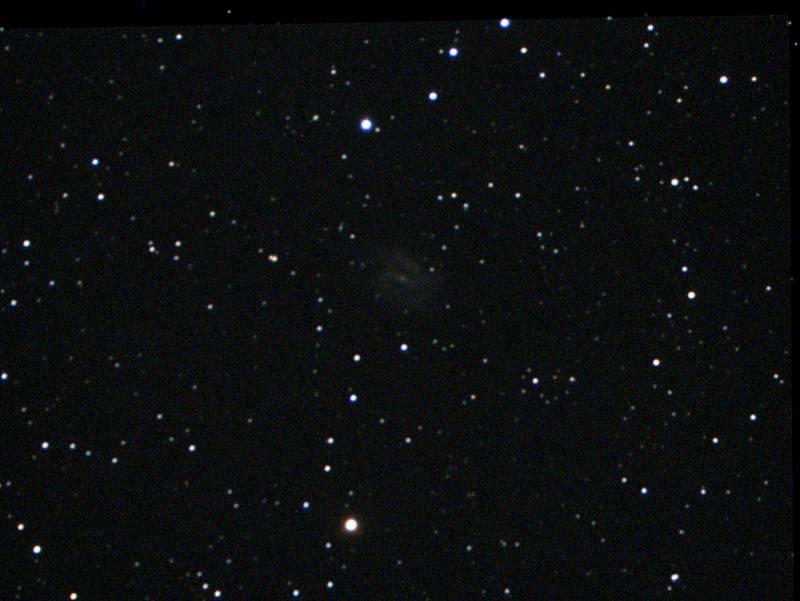 NGC 5440 is a 13th magnitude Spiral Galaxy appearing in the constellation Canes Venatici. It is 177 million light years from our solar system. NGC 5440 appears roughly 2.8 x 1.4 arcminutes in size, corresponding to a physical diameter of 145496 light years. It is a spiral galaxy of morphological type Sa, and is receding at 3691 kilometers per second - about 1.2% of light speed. NGC 3693 is a 14th magnitude Spiral Galaxy appearing in the constellation Crater. It is 232 million light years from our solar system. NGC 3693 appears roughly 2.3 x 0.8 arcminutes in size, corresponding to a physical diameter of 157663 light years. It is a spiral galaxy of morphological type Sb, and is receding at 4952 kilometers per second - about 1.7% of light speed. 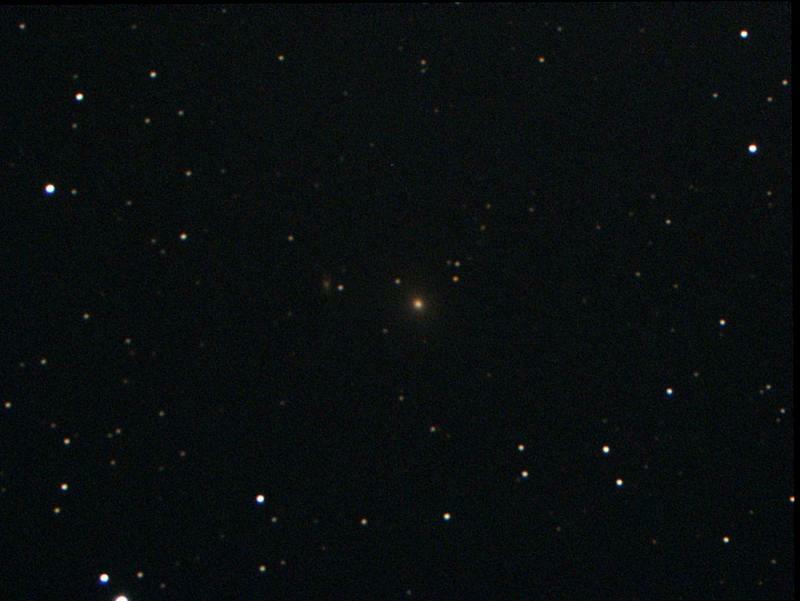 NGC 3636 is a 12th magnitude Elliptical Galaxy appearing in the constellation Crater. It is 83 million light years from our solar system. NGC 3636 appears roughly 2.5 x 1.3 arcminutes in size, corresponding to a physical diameter of 60475 light years. 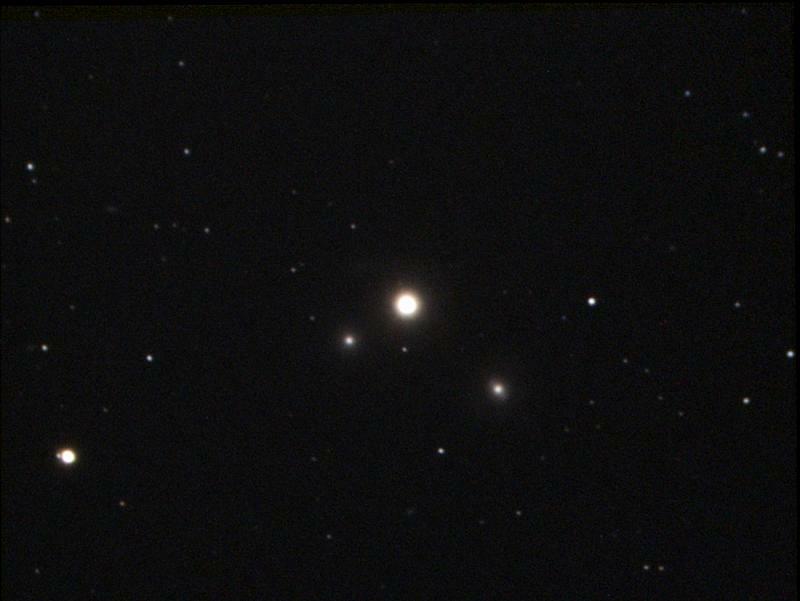 It is an elliptical galaxy of morphological type E, and is receding at 1791 kilometers per second - about 0.6% of light speed. NGC 3637 is a 12th magnitude Spiral Galaxy appearing in the constellation Crater. It is 84 million light years from our solar system. NGC 3637 appears roughly 2.5 x 2.1 arcminutes in size, corresponding to a physical diameter of 60217 light years. It is a spiral galaxy of morphological type S0, and is receding at 1817 kilometers per second - about 0.6% of light speed. Edited by S1mas, 26 March 2019 - 04:13 PM.